Good morning everyone! I really like muffins (to be honest, I like any kind of baked good); they're mini cakes with crispy outer shells and inner softness, so really who wouldn't like muffins? 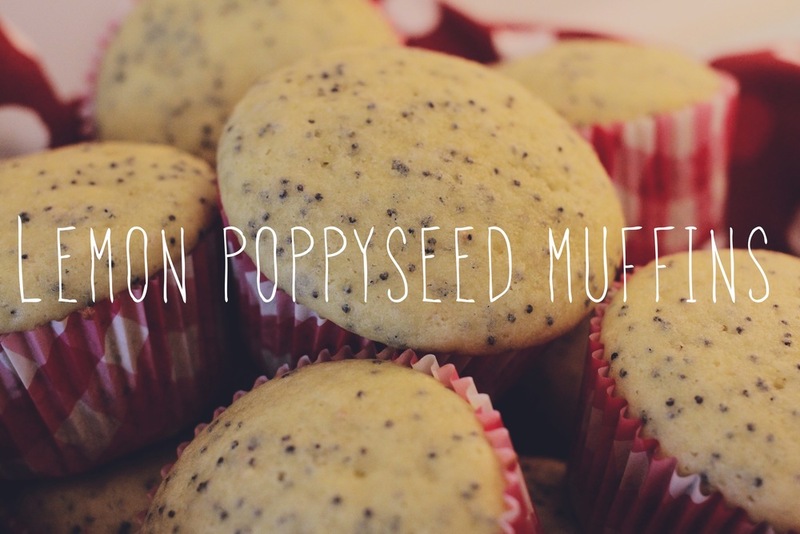 Today's post is all about the lemon poppyseed muffin! To start, preheat your oven to 375 degrees. Mix together the flour, poppyseeds, baking powder, baking soda, and salt in a bowl. In a separate bowl, beat the sugar, butter, and lemon zest until its light and fluffy. Add the eggs, one at a time, and mix until combined. Add in the dry ingredients, and then the yogurt slowly. It's important not to over mix as you want these muffins to be a fluffy as possible! Divide the batter in a lined muffin tin and bake for 25 minutes or until the centres are no longer wet and they're golden. Remove from the muffin tins, and let cool. Enjoy! Follow me on instagram, twitter, and bloglovin!